When I saw the name I just cracked up - Australians and those that understand our vernacular should get a chuckle out of it - other people will just look at you strangely. 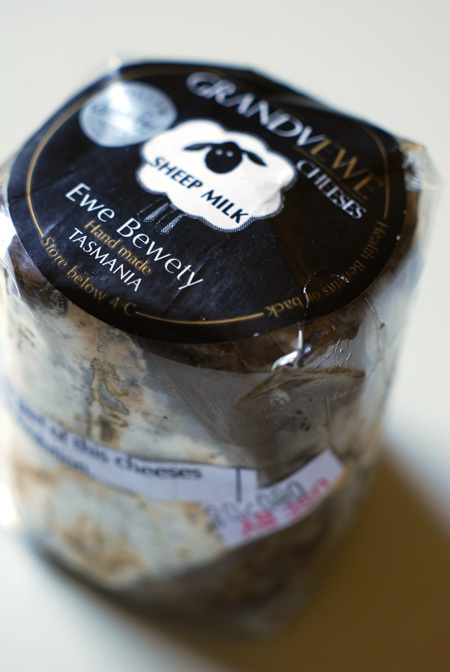 Ewe Bewety (You Beauty) is a vine wrapped sheep milk cheese - the sticker on the packet helpfully tells us that the moulds are normal and part of the maturation process. There's a pleasant smell of damp vine leaf - nothing overpowering in the aromas. It is about 9 days from peak maturation so I would imagine the moulding would envelope more of the external leaf as time passed. 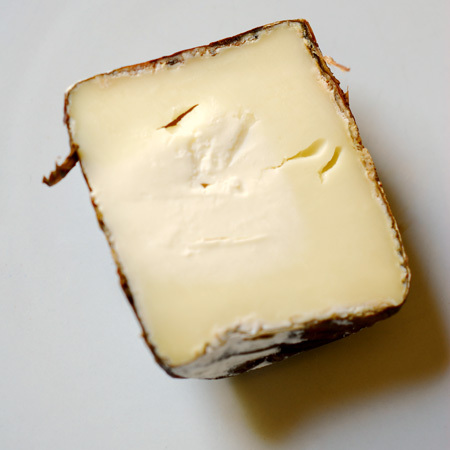 To slice, it is a firm cheese, and you should be able to see a lighter coloured core around the centre of the cheese. 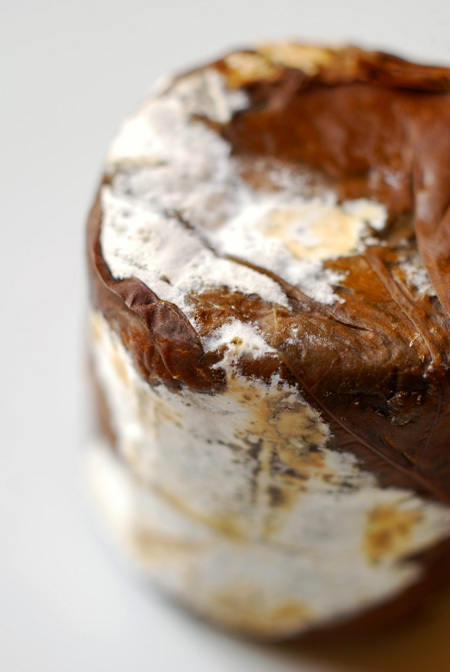 This is a visually representation of the maturation process as cheese matures from the outside in. We found the cheese to be quite creamy with a pleasant bite that you would associate with a blue or a vintage cheddar. It's best eaten without the vine leaf. 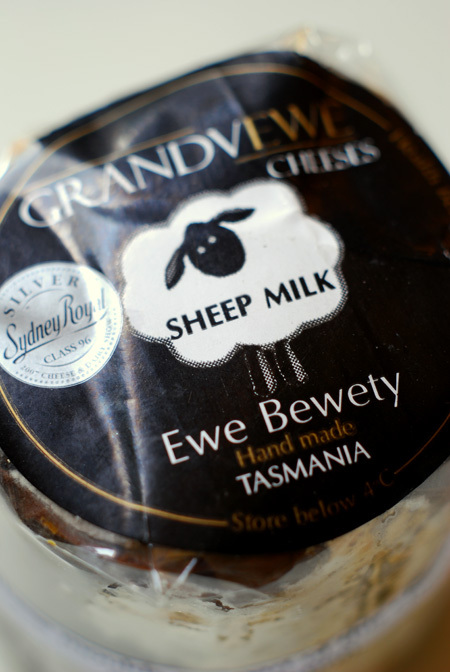 We were most impressed with this cheese and it will certainly be on our cheese board again. For those in Melbourne, this was found at Leo's Kew.